Ever been hypnotized? While it may not make you cluck like a chicken, as an alternative therapy, medical hypnosis might help you manage and overcome a number of physical and mental conditions. 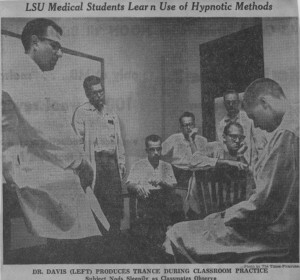 In the fall of 1959, a few brave medical students were willing to put their bodies and minds at the mercy of LSU Medical School Professor of psychiatry Dr. Carl L. Davis for the purpose of studying the viability of hypnotherapy. Later, the students would be given the opportunity to reverse the stakes and hypnotize Dr. Davis in the spirit of fairness. 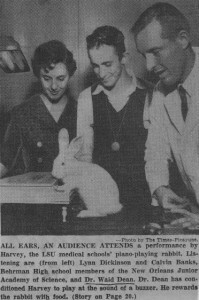 The American Medical Association officially backed medical hypnosis for wide use in 1958, though they cautioned against using the method as a form of entertainment and in cases of severe psychological illness. At that time, medical and dental practices used hypnotherapy as a form of anesthesia and in the management of pain. Other fields of medicine that have found use for hypnotherapeutic procedure include dermatology, gastroenterology, cardiology, obstetrics, oncology, post-surgery recovery, and even in the treatment of smoking addiction, eating disorders, and psychosomatic illness through age regression. While many remain skeptical about the efficacy of hypnotherapy, it is true that more research and standardization of practice will provide insight into the relative benefits and risks of its usage. 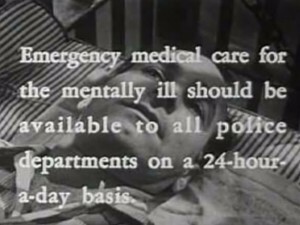 Dangers to the patient and the doctor are a considerable cause for concern. 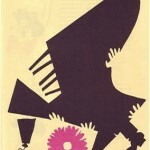 The mind, being a vast and complex entity, requires a delicate but firm touch. 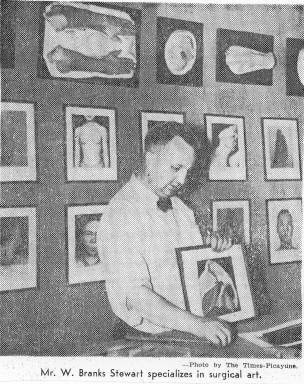 Hypnotism provides the therapist with the ability to wield the power of suggestion over the patient, and so puts the receptive patient in a vulnerable position. For this reason, the move toward more holistic treatment of the individual is vital in addressing his or her needs. 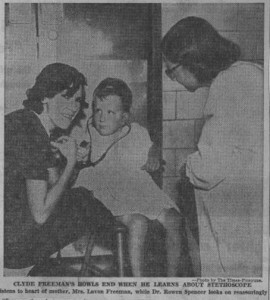 A 1959 Times-Picayune article relates the case of a man who developed asthma every time his mother-in-law would announce her intention to visitÔÇöÔÇ£This man just cannot understand why this would happen since he honestly believes he is fond of [her].ÔÇØ This is an example of a symptom that could possibly benefit from hypnotherapy (or else a nice, long vacation). Accounts of hypnotism can turn grim, however. In another instance, a patient suffering from self-destructive tendencies developed paralysis in one of her fingers. She was referred to a hypnotist, who alleviated the symptom without addressing the underlying psychological turmoil. 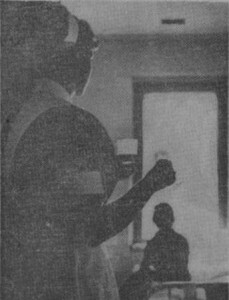 Upon release, the woman promptly employed her newly-flexible trigger finger in one final act of self-harm. 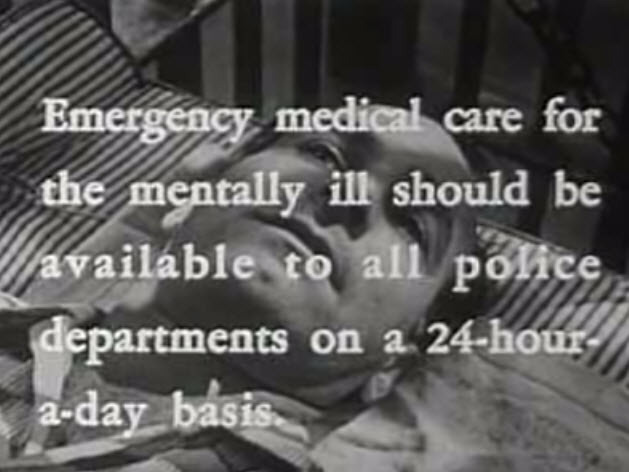 This is an extreme example, but speaks to the necessity of treating the patient as a whole and of recognizing links between physical and mental manifestations of illness. 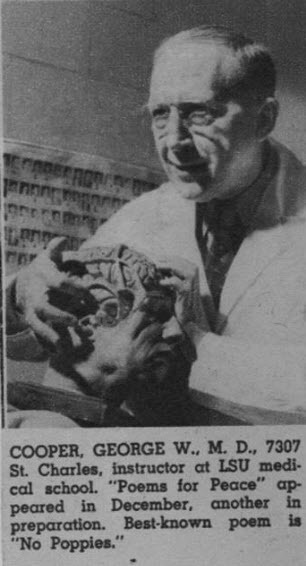 The prominent physicians mentioned in these newspaper articles were Professors of psychiatry at LSU Medical School: Dr. Carl L. Davis, Dr. Lucio Gatto, and Dr. Charles Watkins, who also served as the Head of the department. 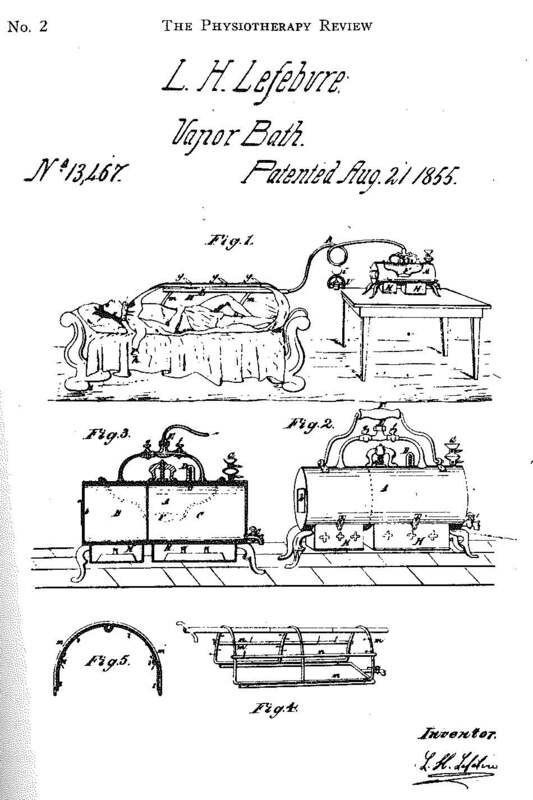 All of them make a few appearances in our Digital Collections as subject and even creator. Dr. Davis appears for his addresses on teen drinking and middle-age rebellion. Dr. Gatto appears for his study on compulsive borrowing. 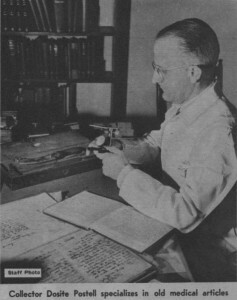 Dr. Watkins is the most prolific figure for his interest in the history of the U. S. Army 64th General Hospital, which has its own Collection, as well as for his medical-cultural mission to Central America, and his role in the care (and commitment) of former Governor Earl K. Long. 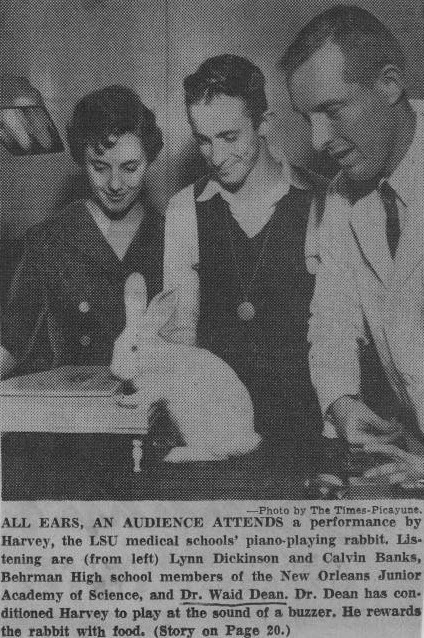 Now a far cry from its historic roots in mesmerism and animal magnetism, the current practice of medical hypnosis can be aligned more closely with deep meditation and positive thinking, the power of which is widely acknowledged by doctors and patients alike. 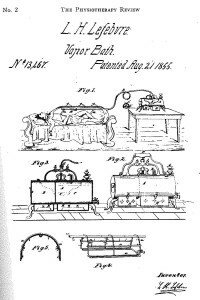 Tags: Glimpse, History, Hynotism, Hypnotherapy, Medical School, This Month in History | Dentistry, Psychiatry, Surgery | Permalink | Comments Off on This Month in History: Putting Mind over Matter | Posted Monday, September 9, 2013 by Phillips, Holland T.
We learned from childhood that if you give a mouse a cookie heÔÇÖs going to want a glass of milk. It is lesser known, however, whether an increase in milk consumption in the general rodent population is directly caused by rampant cookie consumption among mice. Correlation does not necessarily indicate causation. ?á A similar logical fallacy comes from one member of the Church of the Flying Spaghetti Monster who claims that there exists ÔÇ£a statistically significant inverse relationship between pirates and global temperature;ÔÇØ therefore, according to him, more piracy will decrease global temperature and the number of natural disasters. These examples, though silly, illustrate the importance of scientific research in drawing causation in an uncontrolled environment and in distinguishing between folklore, coincidence, and the truth. One such truth-seeking project involves public health and is the source of long-standing controversyÔÇöthe issue: community water fluoridation (CWF). Beginning in 1954 in New Orleans, a committee of health professionals convened to address CWF. The committee consisted of several area doctors including LSU Medical CenterÔÇÖs Dr. Russell Holman, who served as Professor and Head of the Pathology Department from 1946 until his death in 1960. 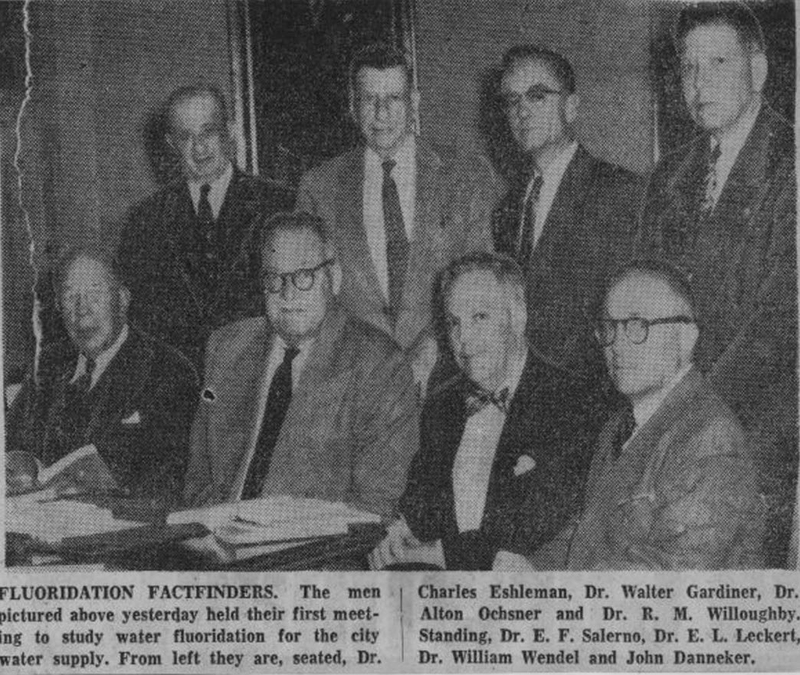 An article from the New Orleans Item in 1955 describes the committee as divided and unsure with the exception of Dr. Holman, who planted his support firmly on the side of fluoridation. 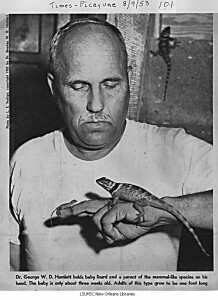 A final decision was made in 1957 to veto CWF due to a need for further study. 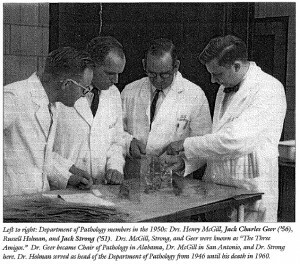 Though the addition of fluoride to the nation’s drinking water has become common practice, the matter of its efficacy is still unresolved. In weighing the risks and benefits of CWF, the exact nature of correlation between improvements and harm to the publicÔÇÖs dental health remains unclear. Proponents of community health attempt to account for socioeconomic factors, access to dental care, pyorrhea and periodontal concerns in children and adults, as well as fluorosis, a cosmetic issue caused by over-fluoridation. The CDC has called water fluoridation ÔÇ£one of the 10 great public health achievements of the 20th century,ÔÇØ and in 2010, the center’s statistics show the percentage of the U.S. population receiving fluoridated water at 66.2%. Perhaps we ought to take a cue from the Church of the Flying Spaghetti Monster: take to sea, forget dental care, and go marauding! 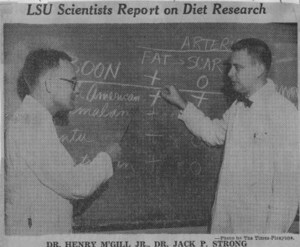 Tags: Glimpse, History, This Month in History | Campus News, Consumer Health, Dentistry, Public Health | Permalink | Comments Off on This Month in History: The Truth and Community Water Fluoridation | Posted Thursday, April 25, 2013 by Phillips, Holland T.
Dr. Cooper, a one-time anatomy Professor at the LSU Medical School, was also well-renowned for his poetry. 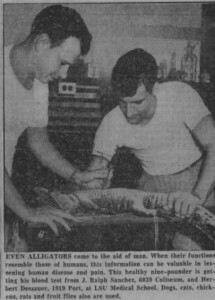 ?á Recognized for his ÔÇ£consistently good work in poetryÔÇØ by a forum of the National Writers Club in 1951 and awarded the position of Louisiana Poet Laureate from 1973-1976, Dr. Cooper is a?ácommon subject of our Newspaper Clippings Digital Collection. 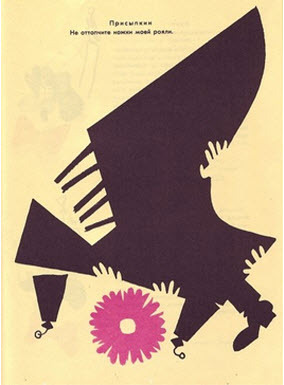 Though the Isch?® Library does not own any of his poetry collections, they are available through InterLibrary Loan. 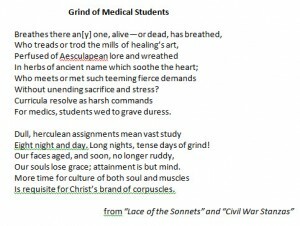 Tags: Glimpse, Louisiana, Poetry | Anatomy, Basic Sciences, Medicine | Permalink | Comments Off on The Poetry of Dr. George William Cooper | Posted Thursday, January 10, 2013 by Phillips, Holland T.
This month in 1960, the Times-Picayune ran an article entitled, ÔÇ£Ground Squirrel Called Ideal Space Traveler.ÔÇØ In the article, Dr. Marilyn Zimny, scientist at the LSU Medical School and avid squirrel-enthusiast, tells of the amazing potential for ground squirrels to travel in outer space and to serve as instruments of research on forced-hibernation scenarios and metabolism studies. Being so adaptable to extreme conditions, the squirrels appear to be ideal candidates for researching regulated slowing of metabolism as they are able to hibernate for long periods of time without damaging their vital organs: heart, brain, and kidneys remain intact. Advancement in this area of reduced energy consummation would possibly provide some insight into the development of a drug that could force a lower metabolism and thus a decreased need for food, water, and oxygen, a state perhaps preferable for astronauts during prolonged space travel and servicemen in cold climates. ?áThis drug could also reduce blood flow during recovery periods after a heart attack or stroke. Although I can find no evidence that ground squirrels have indeed been launched into space, a slew of animals pre-dated human travel. 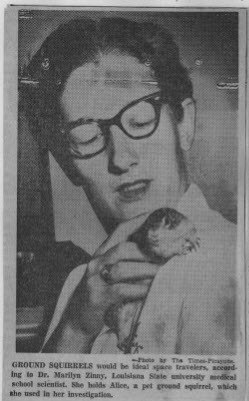 The list of adventuring animals includes rhesus and squirrel-monkeys as well as mice, rats, rabbits, fruit flies, a guinea pig, a cat, chimpanzees, dogs, etc. 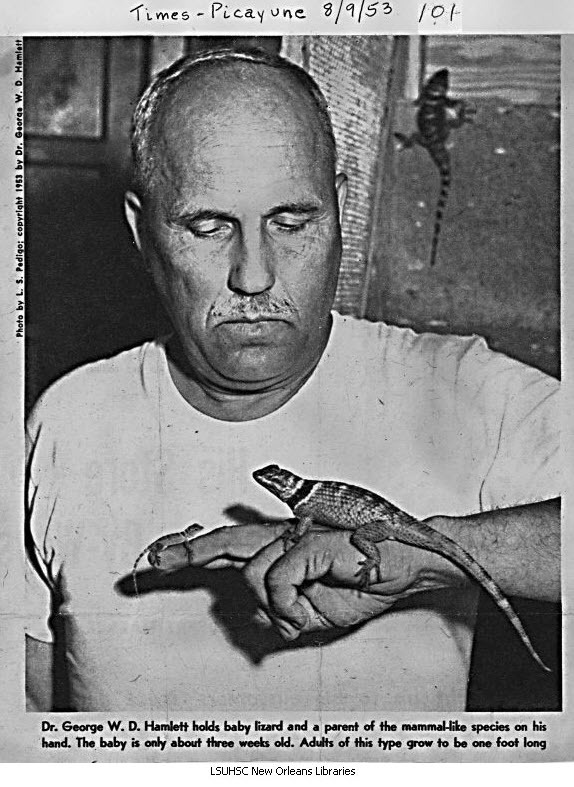 These brave animals helped determine the conditions necessary for humans to survive spaceflight. 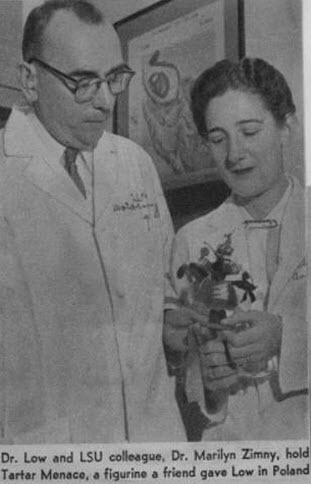 Dr. Zimny’s fascination with squirrels penetrated her personal life as well as her professional developmentÔÇöprofessing to own over 160 at the time of this article and in search of more (an abundance can apparently be found in some Chicago golf courses). 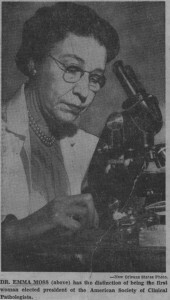 She authored ÔÇ£Metabolism of some carbohydrate and phosphate compounds during hibernation in the ground squirrel,ÔÇØ published in the Journal of Cellular and Comparative Physiology, ÔÇ£Carbohydrate metabolism in ground squirrels during the summer season,ÔÇØ published in Comparative Biochemistry and Physiology, among many others. 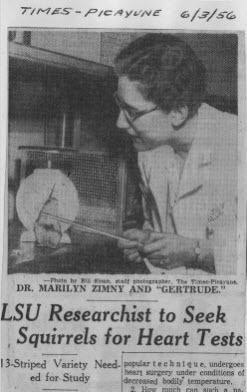 Zimny continued her study of the rodents in order to develop a field of research that would include them as test subjects. 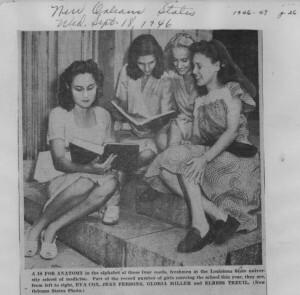 Her career at LSU began in 1954, leading her to a full professorship approximately ten years later. According to one Faculty Vignette, her students ÔÇ£were affectionately known as her ÔÇÿground squirrels.ÔÇÖÔÇØ She went on to become the first female department head at the LSU School of Medicine in 1975, and although she passed away in January 2006, her legacy lives on in her renown. A recent article on POPSCI tells about the successful induction of hibernation in arctic ground squirrels. Dr. ZimnyÔÇÖs warm regard for the critters appears well-places as they continues to be relevant to the study of metabolism regulation. 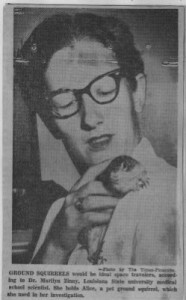 You can further explore squirrel-related news and other intricacies of our Digital Collections by following this link. Glimpse of the Past is an ongoing project to promote the Louisiana Digital Library. This Month in History will present for your reading pleasure a closer look into a newspaper clipping of note from our Digital Collections and articles relating to the LSU Medical School. Tags: Digital Collections, Glimpse, History, Images, Louisiana, Medical School, This Month in History, Times-Picayune | Medicine, New Find | Permalink | Comments Off on This Month in History: Dr. Marilyn Zimny and the Great Squirrel-Stronaut | Posted Tuesday, July 17, 2012 by Phillips, Holland T.